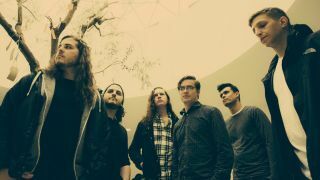 The Contortionist have announced a run of 16 live dates across the UK and Europe for later this year. The American outfit will kick off the run at The Booking Hall in Dover on June 23 and wrap up the tour with a performance at Viveiro-Lugo’s Resurrection Fest. The tour has been scheduled in support of their latest album Clairvoyant, which was released in September last year. Speaking about the follow-up to 2014’s Language, keyboardist Eric Guenther told Loudwire: “Clairvoyant is the product of not only months of writing and recording dozens of song ideas over the last year, but also a definitive creative artefact outlining the artistic confluence of the six members of The Contortionist for our past and future endeavours. Find a full list of the band’s 2018 tour dates below.